A historical drama, Anastasia is the lavish but stodgy story of the mysterious woman who may have been Russian royalty. After the Russian Bolshevik revolution, rumours persist that Anastasia, the youngest daughter of Tsar Nicholas II, survived the 1918 killing of the imperial Romanov family. 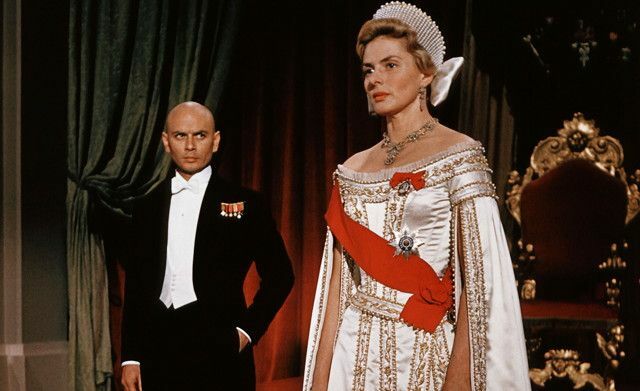 In Paris of 1928, Russian General Bounine (Yul Brynner) is under pressure by the exiled Russian community to produce the survivor after years of making promises. A $10 million inheritance account is at stake. Bounine pursues a disoriented ex-mental patient (Ingrid Bergman) with a resemblance to Anastasia and prevents her from jumping into the Seine. Within eight days he polishes up her image, feeds her basic historical information and introduces her as the long-promised royal heir. She is met with a mixture of reverence, skepticism and opportunism, and displays sparks of knowledge adding intrigue to the possibility that she may, indeed, be who Bounine claims her to be. Much to the General's disgust, she is also romantically pursued by Prince Paul (Ivan Desny), who may be more interested in her inheritance. 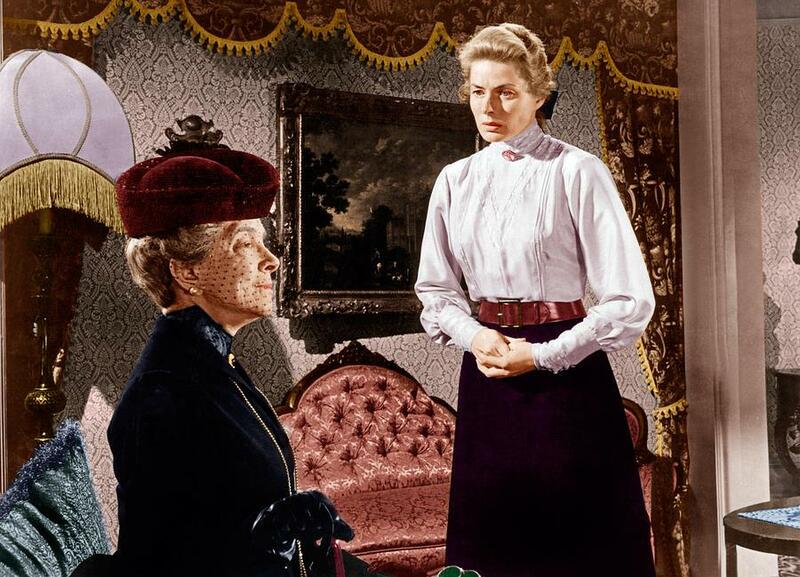 But the big test resides in securing a meeting with the Dowager Empress Marie Feodorovna (Helen Hayes), Anastasia's Copenhagen-based grandmother. Inspired by real events, Anastasia is an adaptation of the play by Marcelle Maurette. The story of young woman who may have survived a firing squad and re-emerged to revive hopes of a Russian imperial future carries all the necessary ingredients for a captivating film. But director Anatole Litvak is only partially successful. While a trace of wistfulness emerges from Anastasia's transformation from bedraggled street person to glamorous but possibly fake princess, the film never emotionally connects. For long stretches Anastasia unfolds like an over-talkative and static filmed play, and some scenes drag on forever. The camera work is often uninspired, the CinemaScope format not helpful other than for incidental throwaway ballroom scenes. Other than Anastasia, who is more a victim than protagonist, none of the characters carry even the semblance of an arc worth investing in. On the positive side, the theme of a haughty power-deprived community willing itself to believe in a fairytale princess carries appeal, and some of the settings and costumes are a feast for the eyes. Bounine runs a raucous Russian-themed nightclub with music, exotic performers, and flaming skewers. The exiled elite Russian community maintain a palatial if displaced lifestyle full of colour and grandeur. The scenes of Bounine training his ingenue to behave like royalty are a beguiling precursor to the Professor Higgins / Eliza Doolittle My Fair Lady dynamic. 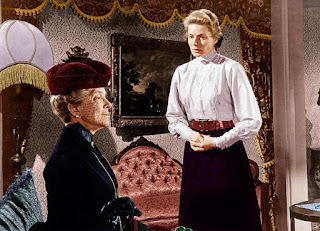 Anastasia served as Ingrid Bergman's grand Hollywood comeback, and she is by far the standout performer, mixing the hesitancy of a lost and unstable soul with the emerging steely glint of a woman who may start to believe and enjoy the role being crafted for her. Brynner is mostly confined to monotonal rat-a-tat delivery complemented by beady-eyed determination to fool everyone all the time. Helen Hayes as the elderly Empress is content to maintain a fully theatrical mode. Akim Tamiroff is the most prominent member of the noisy Russian community surrounding Bounine's salesmanship. A briefly captivating footnote of history, Anastasia is more curious than compelling.